Well done for the lovely poem,I am poet and write a lot hear in Sardinia,this place truly inspires you,the poem you wrote I give a big congratulation ,keep on writing. I will write a little poem for you. a fairy tail where God laid his hands..
My husband Greg and I are retired (hate that term and think it should be relegated to what you do when you have a flat!) and poised for a move to Cagliari next June. I’m acclimated with “family” of the heart there, since living in Rome for a couple of years as a kid, going to school. My Italian’s great. But Greg can’t wrap his brain around foreign languages at all–speaks a handful of words after 2 years in Spanish speaking country. Few of my Italian friends speak much english. HOW EASY IS IT TO CONNECT WITH ENGLISH SPEAKING COMMUNITY IN OR AROUND CAGLIARI? This will be vital for his mental health and outlook. Any expat communities you might be able to turn us on to will be gratefully catalogued and encountered with eager anticipation! Even if on the mainland, it would be worth a trip in once a month or so to connect for him. Thank you. Keep up the great and inspiring work, Jennifer! Thanks for stopping by. I live right up in the north and haven’t much experience in the southern part of the island. 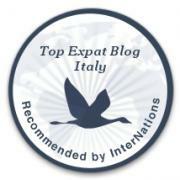 I know that here, there are little to none expat groups. In Olbia, about 90 minutes from me, I do know of some expats that meet once a month or so. Let me put the word out and see what I can find out for you. Until then, keep dreaming of Sardinia.